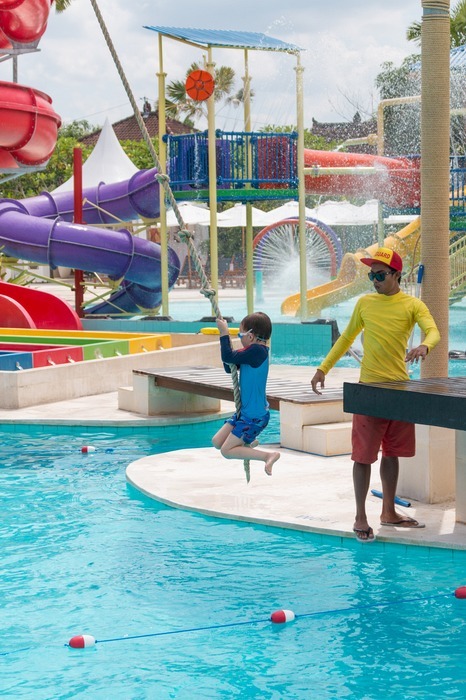 After going through our recent list of 51 things to do in Bali with kids, it sometimes feels like we have done everything there is to do in Bali. But Bali continues to grow and surprise us every time we return. 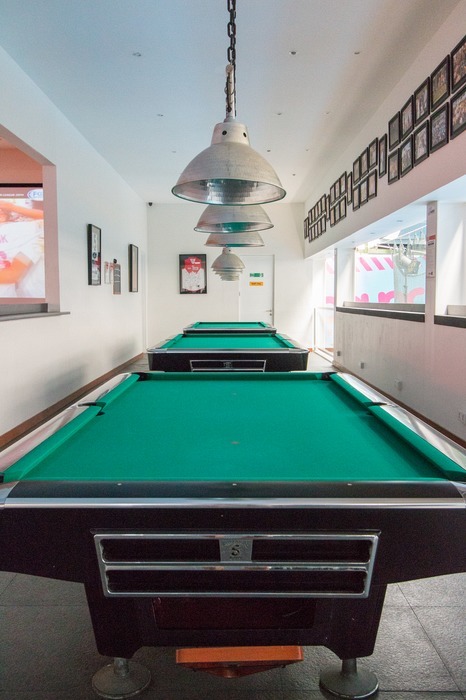 While the Canggu Club is a well-recognised establishment in Bali, in October 2014 it opened its doors to non-members for the first time coinciding with the launch of 4 major new facilities. And they asked us to come and try them out. These are guaranteed to make your kids go wild. 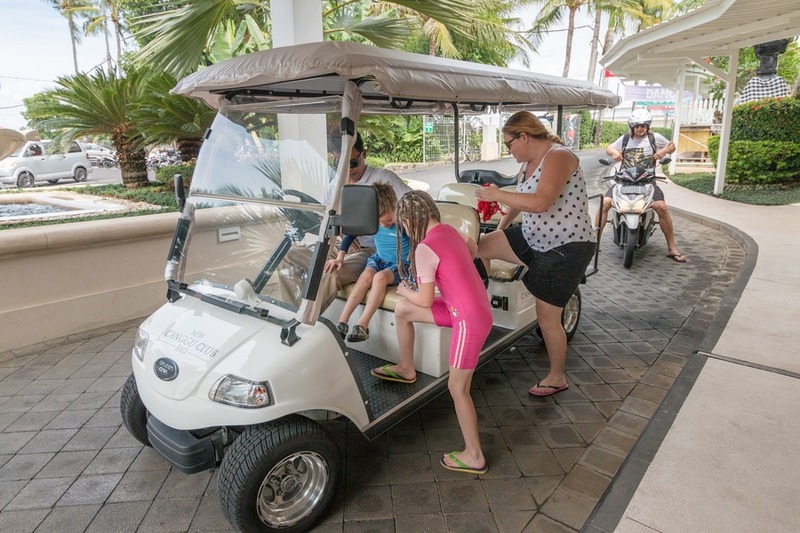 The club estate is spread over 4-hectares, divided in an East and West side which can be navigated by golf buggy (located at reception) or simply walking. 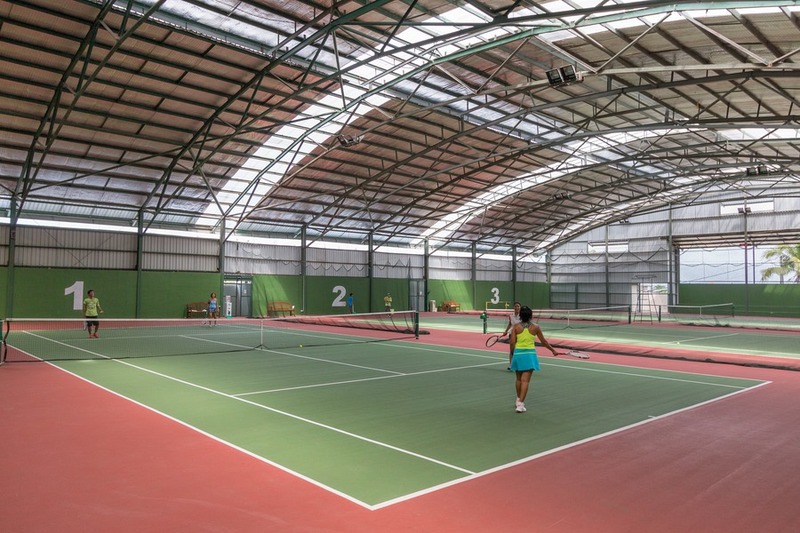 The complex includes a well-equipped fitness centre, lap pool, sports ground, tennis centre, beauty spa, sports bar, multiple restaurants plus much more. It’s hard to put Canggu Club into a box. 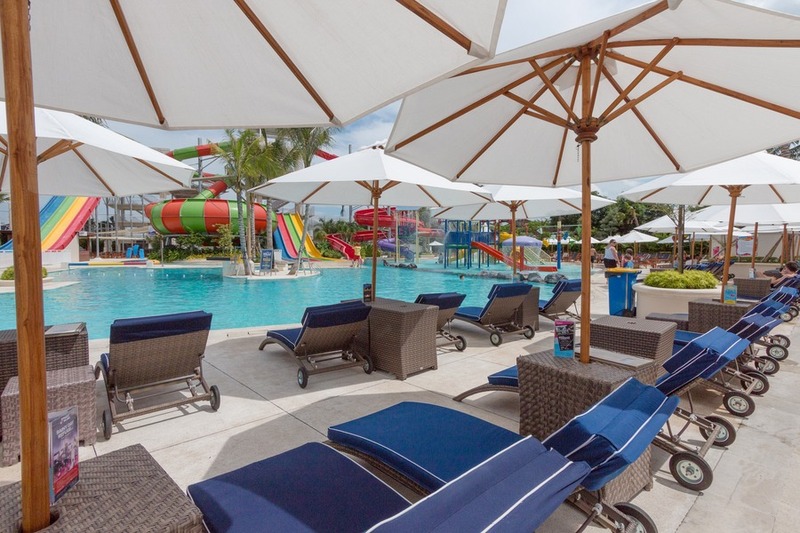 It’s a combination between a country club, beach club, sports centre and theme park. But neither of those at the same time. You know what I mean? Maybe not. Well, after our first visit one thing was for sure… 1 day would not be enough. 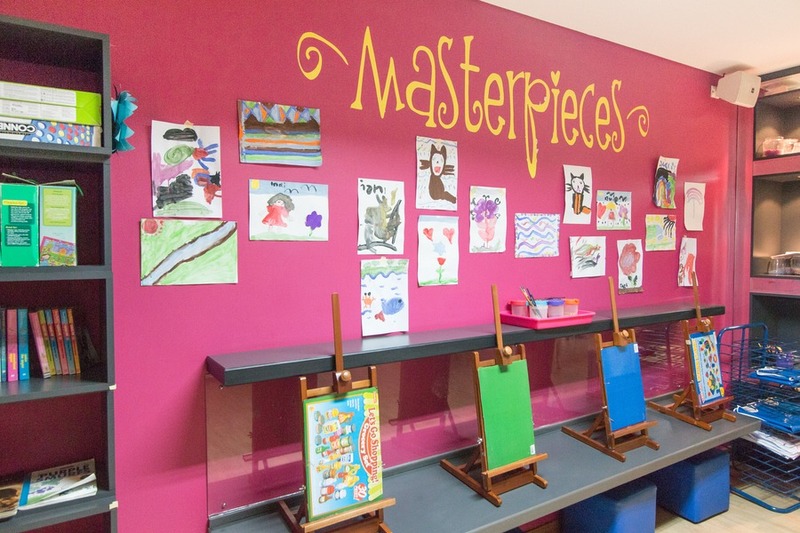 This is an exceptionally well-designed attraction for younger and older kids alike, perfect for cooling off during hot balmy days. 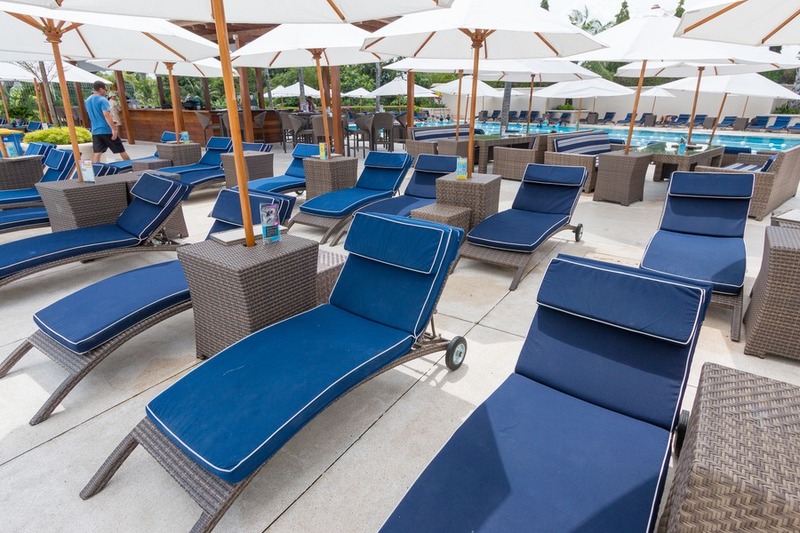 I could sit on my cushy, soft sun lounge by the pool and see my kids wherever they were in the park. 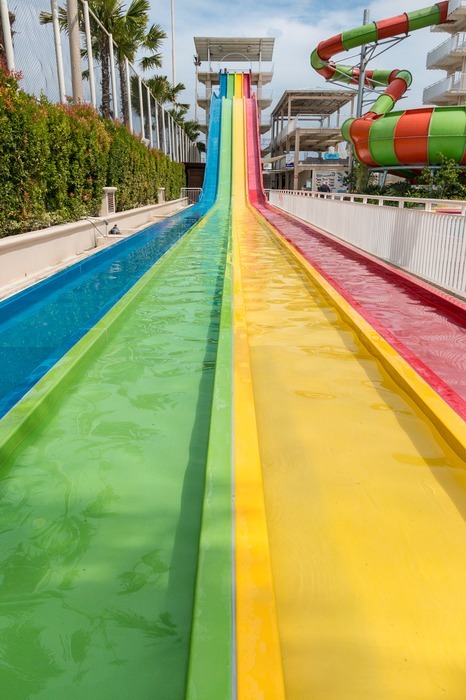 Whether it was sliding down the rainbow-coloured Speed Racer slide or exploring the Splash Playground or swinging from a rope into a pool under the watchful eye of trained lifeguards. 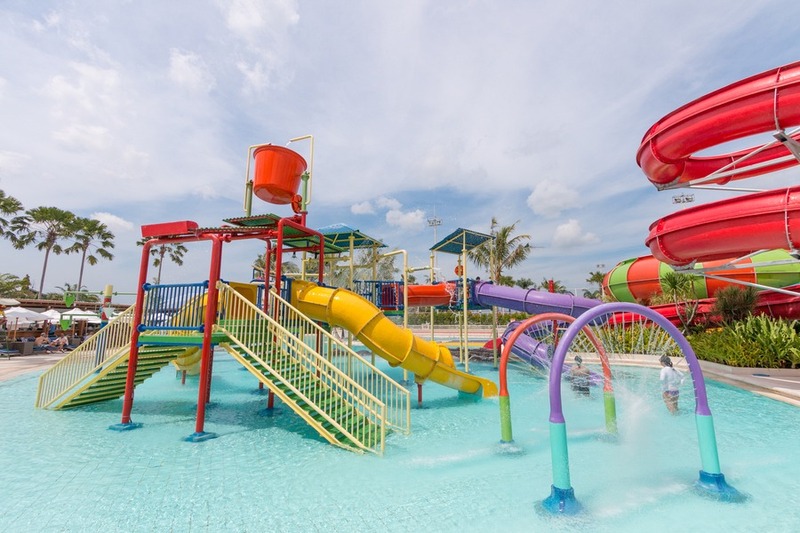 While Splash doesn’t have the lush tropical greenery you will find at Waterbom or as many rides for thrill-seekers, it does have a wide range of additional family-friendly activities besides the waterslides. 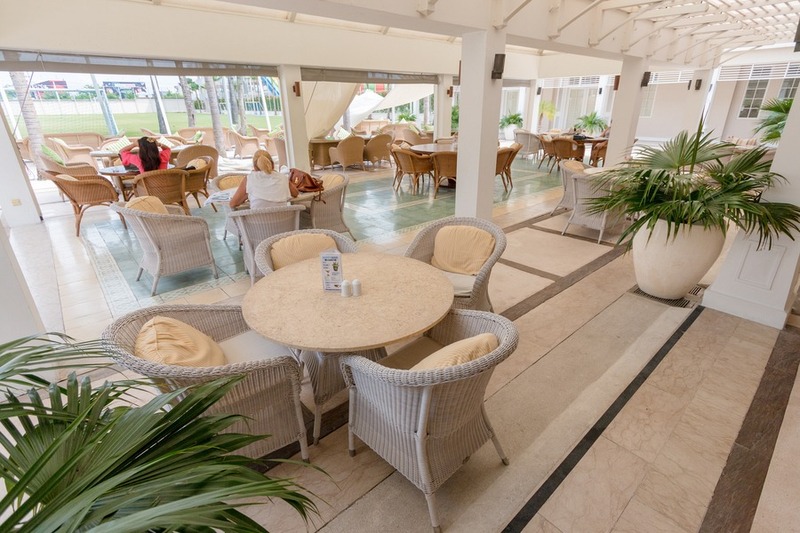 And the brand new facilities are in mint condition (something not so common in Bali). 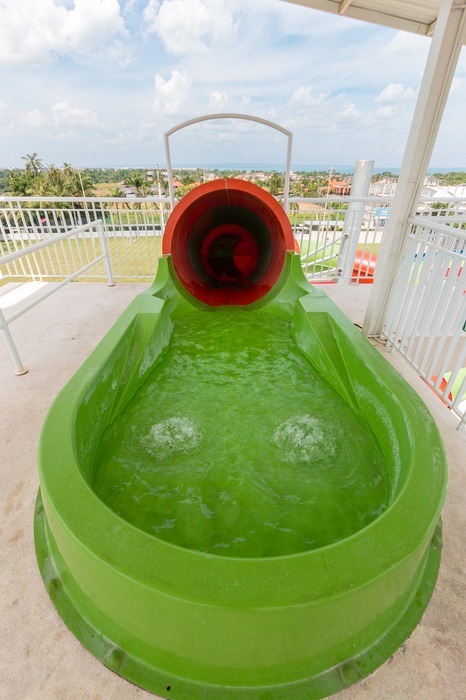 Other rides include the Giant Racer, a fast 4-person race starting 5-storeys above the ground, carrying riders 90 metres towards a big splashdown. The Speed Racer, is a smaller version for younger kids. 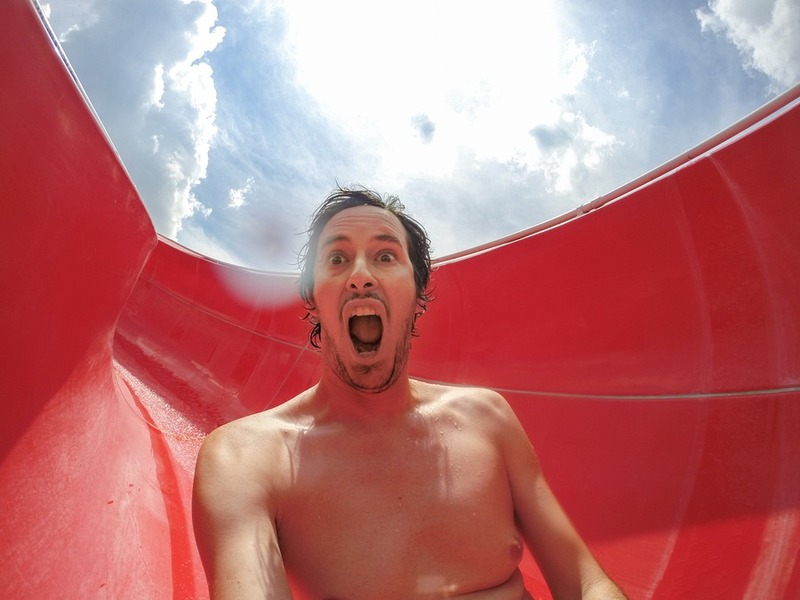 Big Red is a tightly twisted slide that ends in the main pool. 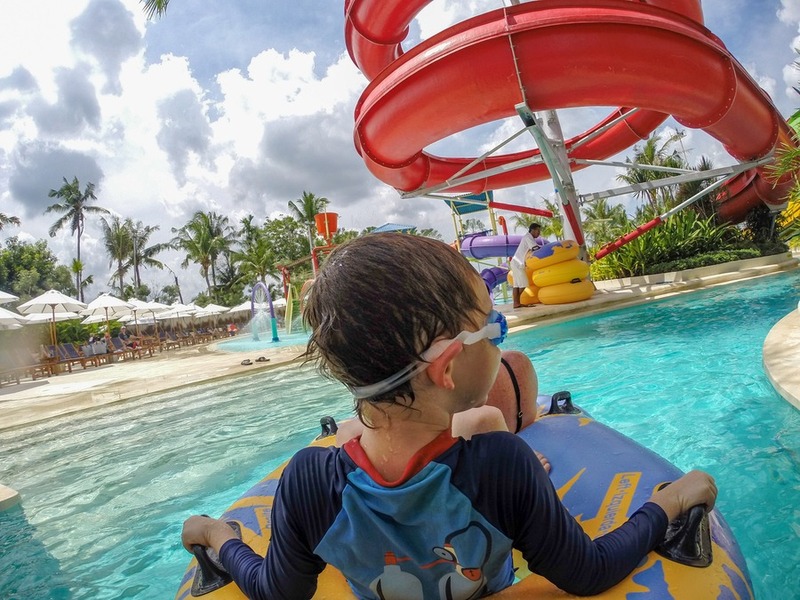 The Super Bowl was much like the one we experienced in Cancun, Mexico, where you slide around and around until you drop nearly 2 metres into a pool below. 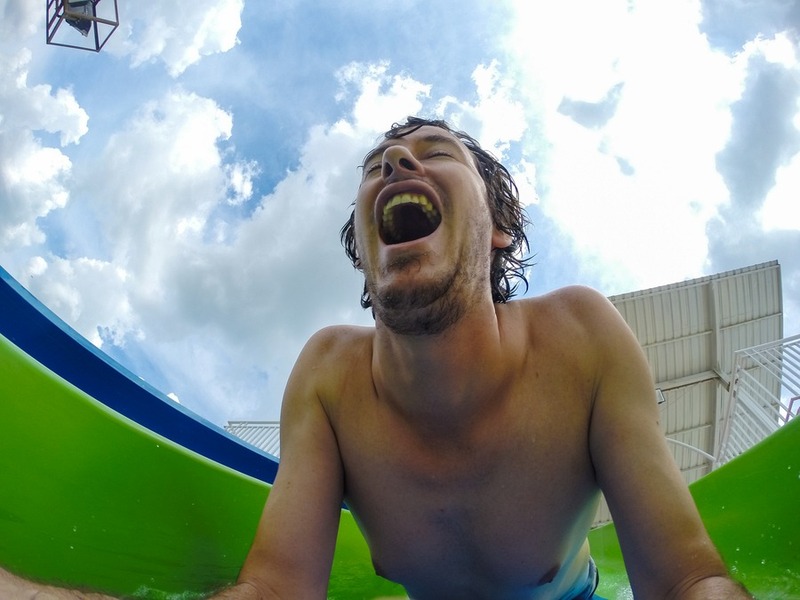 There’s the Crazy Creek, a slow-paced relaxing ride with inflatable tubes. But keep an eye out for a few low clearances. Josh bumped his head once or twice. Surprisingly our kids’ favourite slide wasn’t a slide at all. It was the swinging rope. Once a friendly, attentive lifeguard opened this up our kids did not depart from it. Even I had a turn at using my finely honed Tarzan skills to elegantly nose-dive into the water. Josh couldn’t resist showing off his dexterity and deftness. On top of all this we were quite surprised by the quality of food we ordered for lunch. 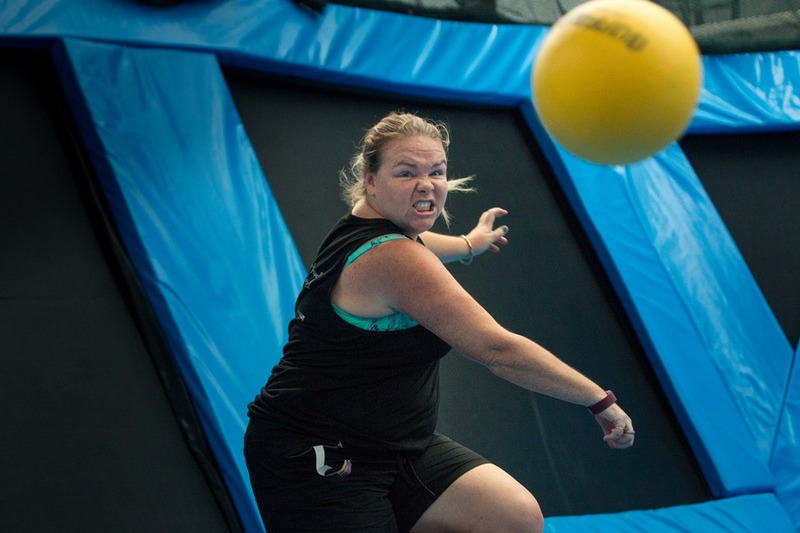 This isn’t your typical theme park with hot dogs and greasy hamburgers. 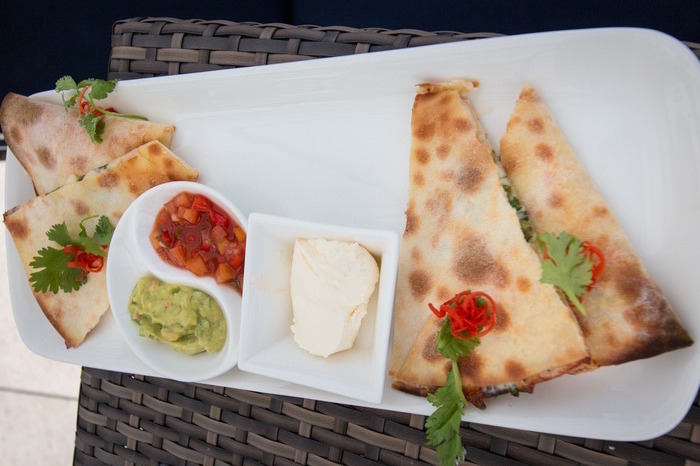 We enjoyed a delicious assortment of Indonesian food and Mexican quesadillas at a very reasonable price. 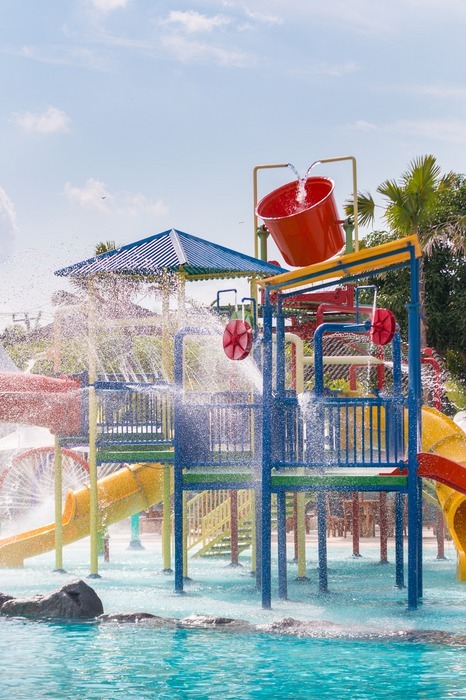 Trained lifeguards are on duty around the park at all times, for extra piece of mind. 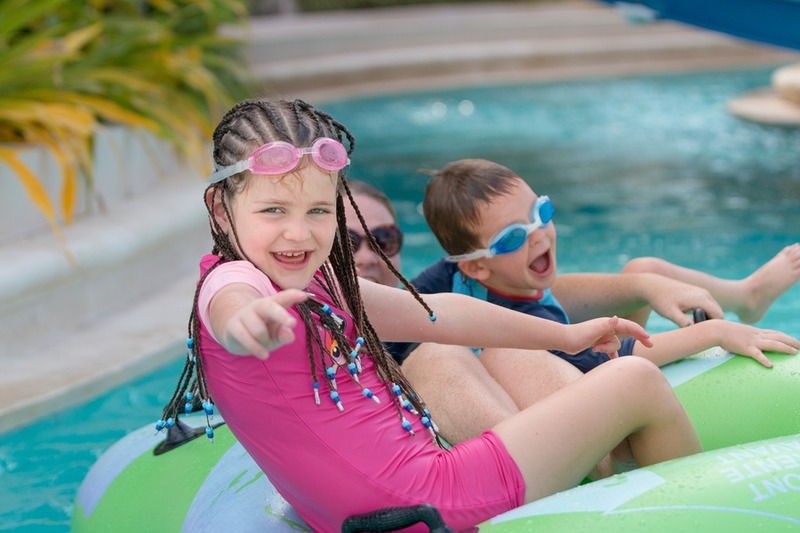 There’s literally no hiding spots for kids – they will always be within view of at least 1 lifeguard, usually more. 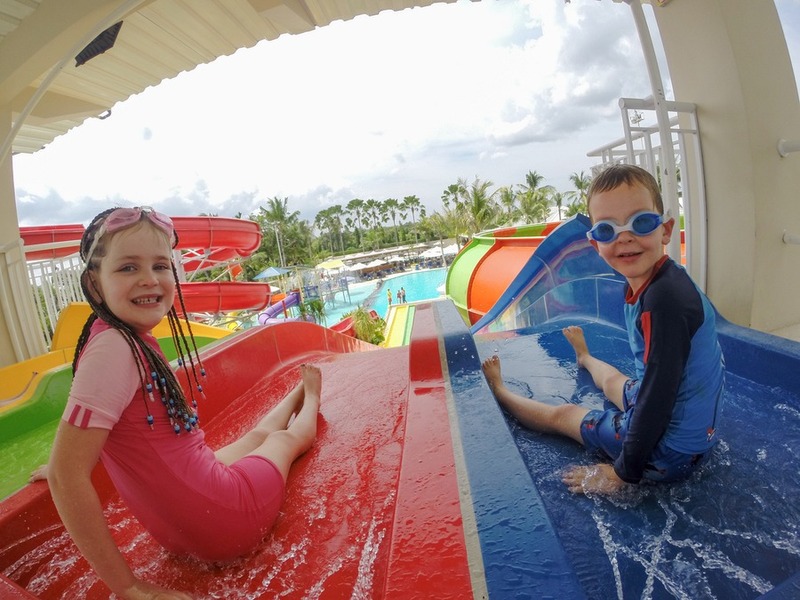 Several of the slides finish in shallow water which makes them very suitable for youngsters, even if they’re not great swimmers. Lockers are available for rent with a waterproof wristband as a key, allowing multiple re-entries throughout the day. In addition, money can be optionally loaded onto a band that you can use at cafes around the park. All the little details have been well thought-out. For example, an ATM machine is located adjacent to the locker rental desk in case you don’t have any cash. 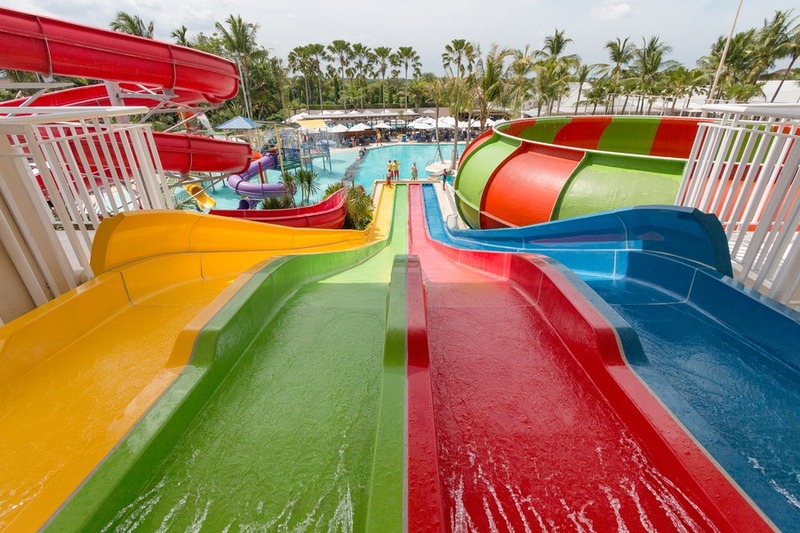 The queues for the slides are very short (if at all) compared to more popular water parks in Bali. Cost: Kids (3 –17): IDR 180,000 (approx. AUD$18), adults: IDR 300,000 (approx. AUD$30). Includes entrance to Splash, Fitness Centre, Swimming Pool, Sports Ground, Club House Sports Bar, Tennis Centre, Body Temple Spa and F&B outlets. In Bali the letter “C” is often pronounced as a “CH” sound so Canggu is actually “Changoo”. 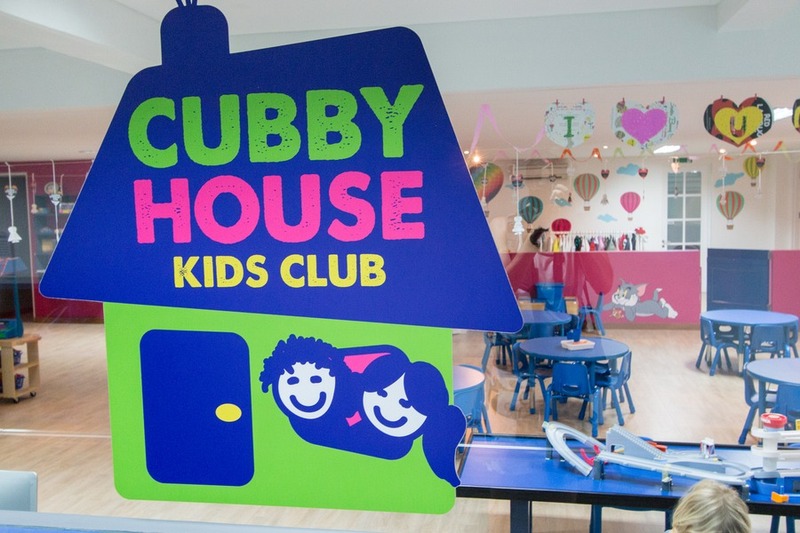 Similarly if you pronounce “Cubby” like a local you are going to have a “Chubby House”, haha. But this place is far from chubby. Rather it’s a lean, mean fun machine. 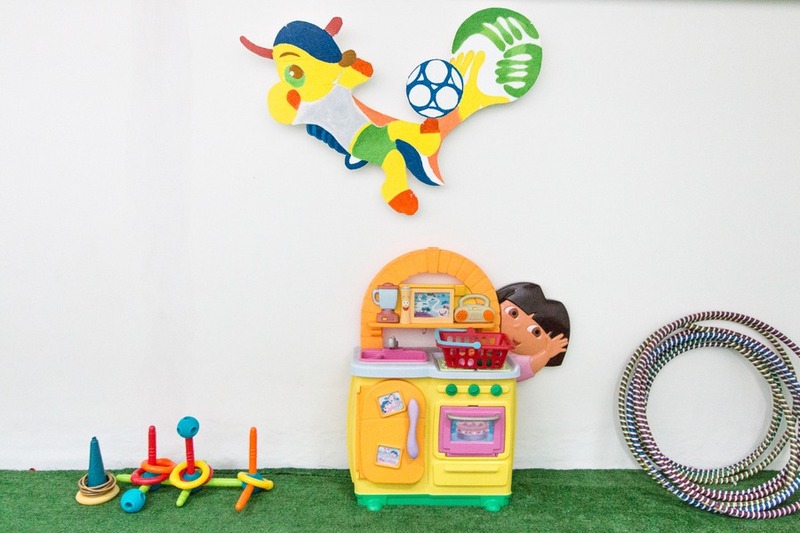 Located in Canggu Club West, the Cubby House Kids Club is a highly entertaining area for kids if you need a little quiet time to relax or work over in Canggu Club East. 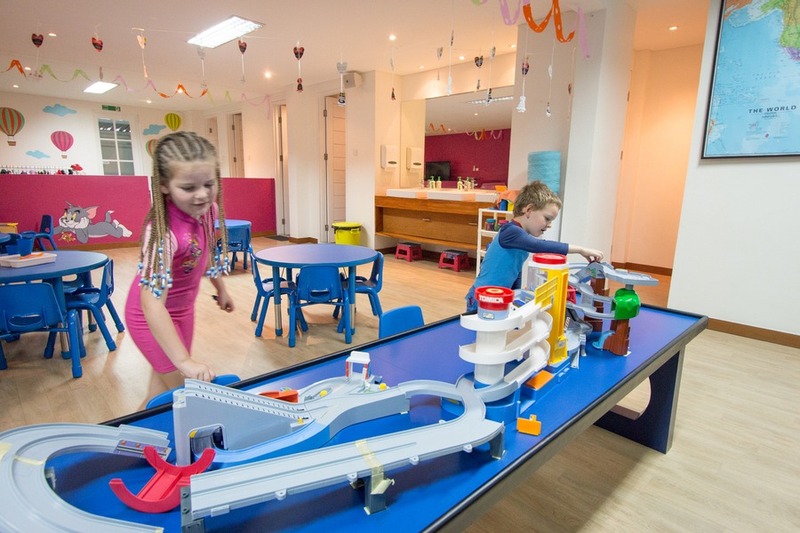 It’s colourful and lively with diverse activities for youngsters including computers, dress-ups, painting, movies, toys and more. They even have 2 undercover outdoor play areas. It’s very safe and secure and the staff are friendly and reliable. 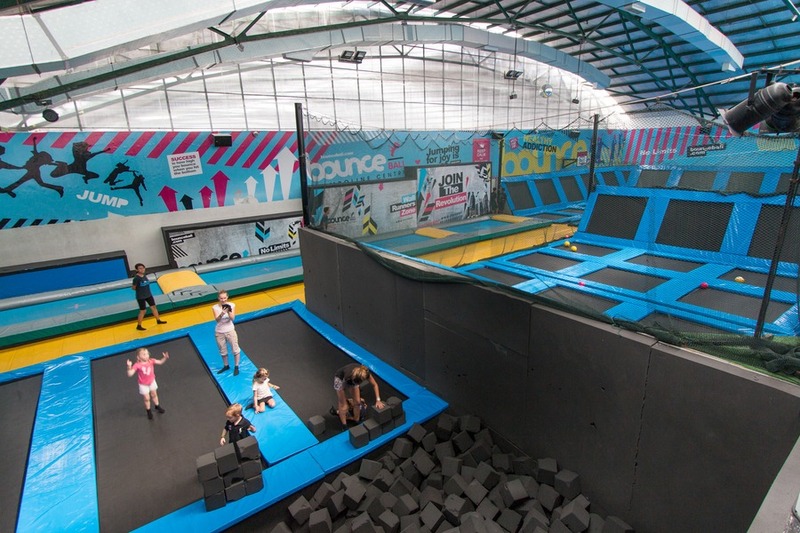 Kids aged 2 to 12 years are allowed. 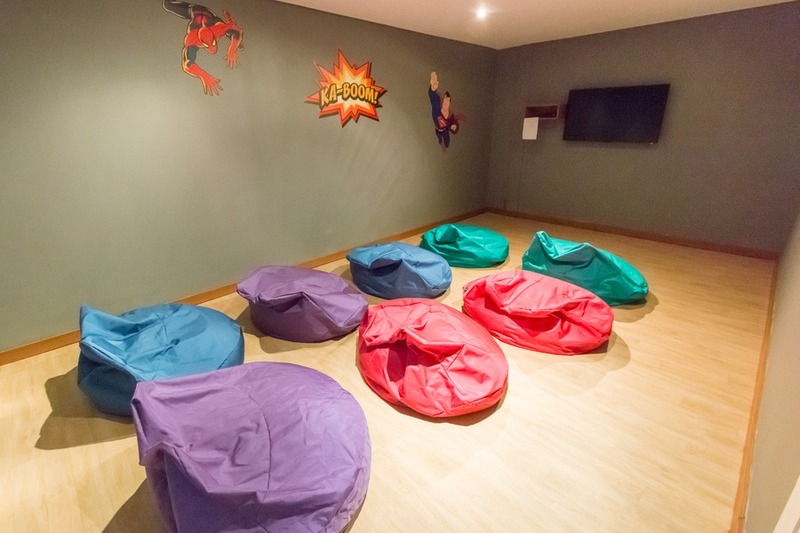 The younger kids have a dedicated space to read stories or crawl through tunnels, while the older ones enjoy movies, crafts or Nintendo Wii games. 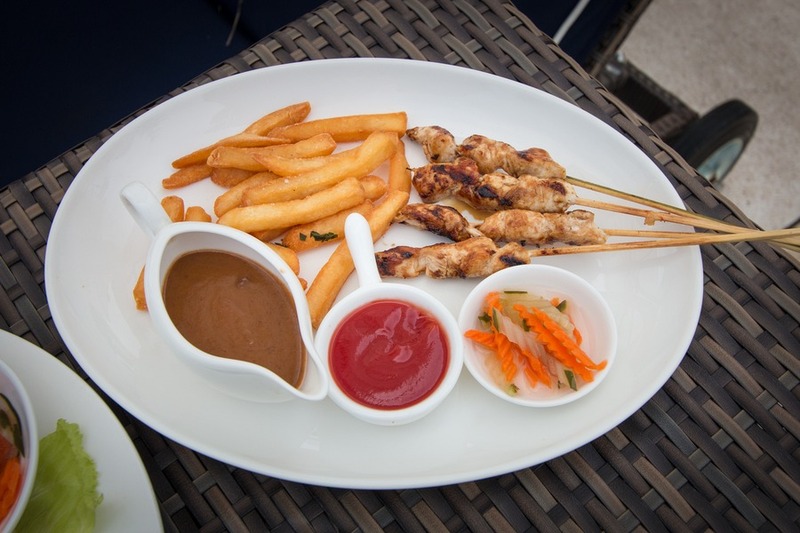 They even provide a selection of healthy meals for a reasonable price so that the kids can stay and play longer. Our kids were delighted with their choices. 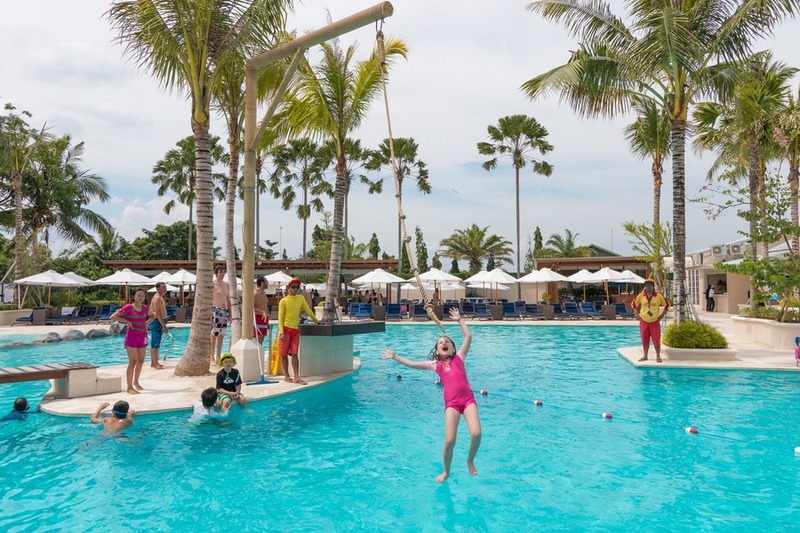 We popped the kids in there for 4 hours and then made our way over to Canggu Club East where we ate lunch at the delicious Splash outdoor restaurant and worked on our laptops, making the most of the fast free Wi-Fi. 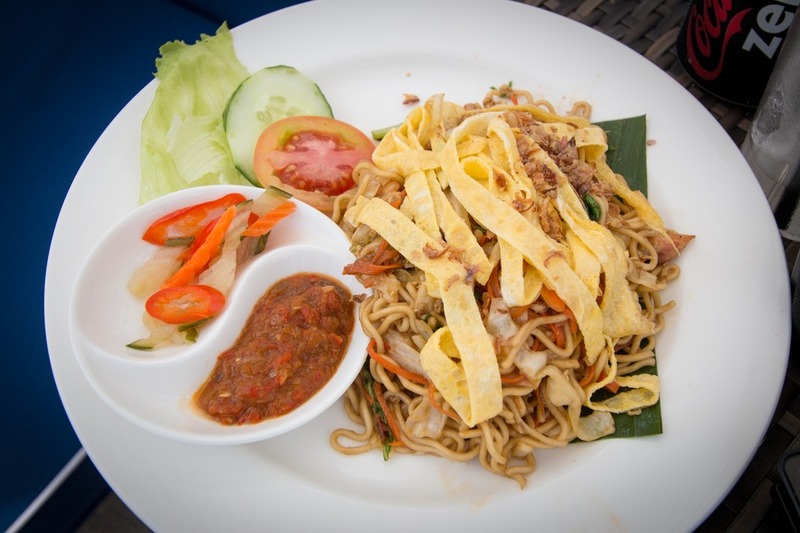 5-visit pass: IDR 600,00++ and includes healthy snack and drink. 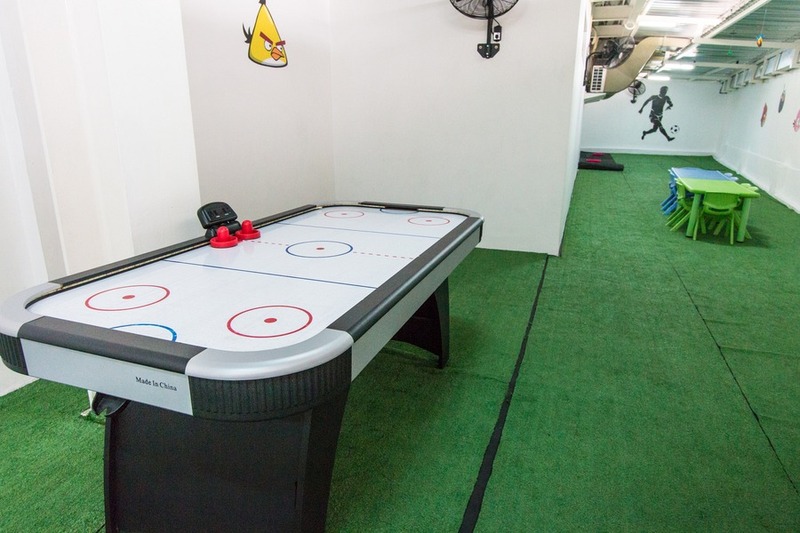 Fun Pass is 10x 4-hour visits at IDR 100,000++ per visit and includes healthy snack and drink (valid for 6 months). 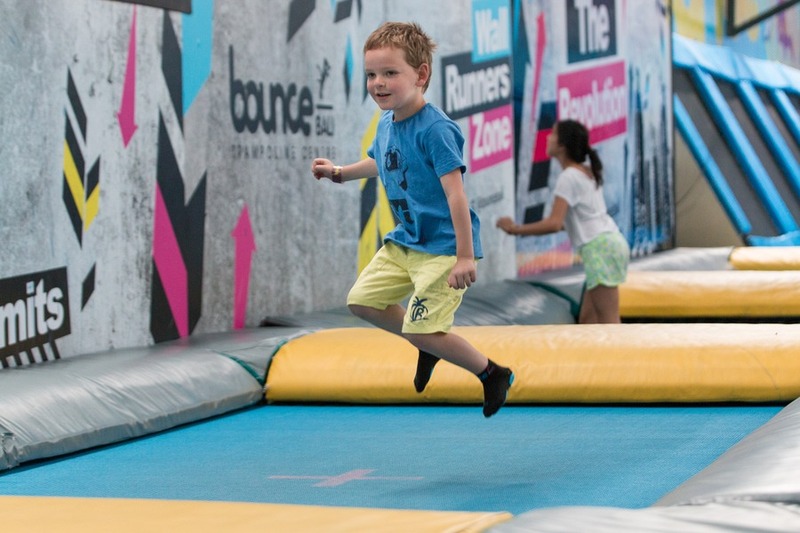 Having recently experienced our first indoor trampoline centre in Melbourne, the kids were excited to spend an hour at Bali’s first trampoline fun centre. 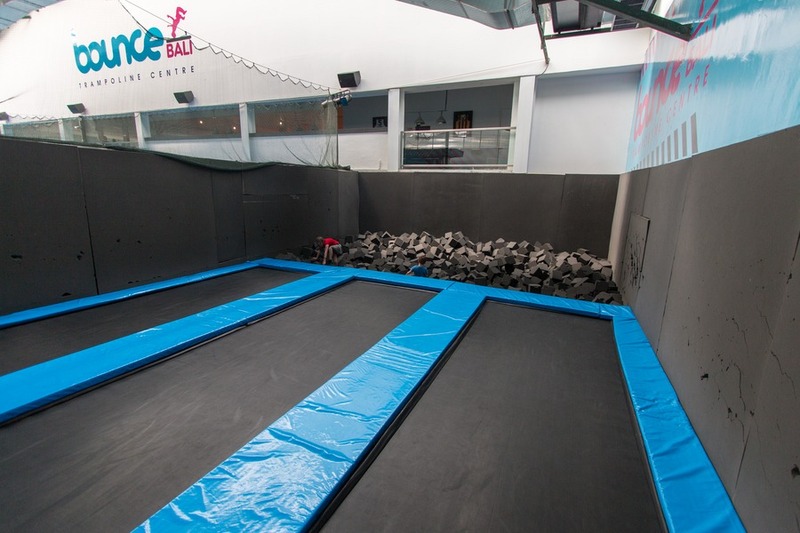 The trampolines used here are designed with a spring-loaded frame for extra bounce height. A 2-inch thick safety pad around the frames ensures any off-centre landing is soft. 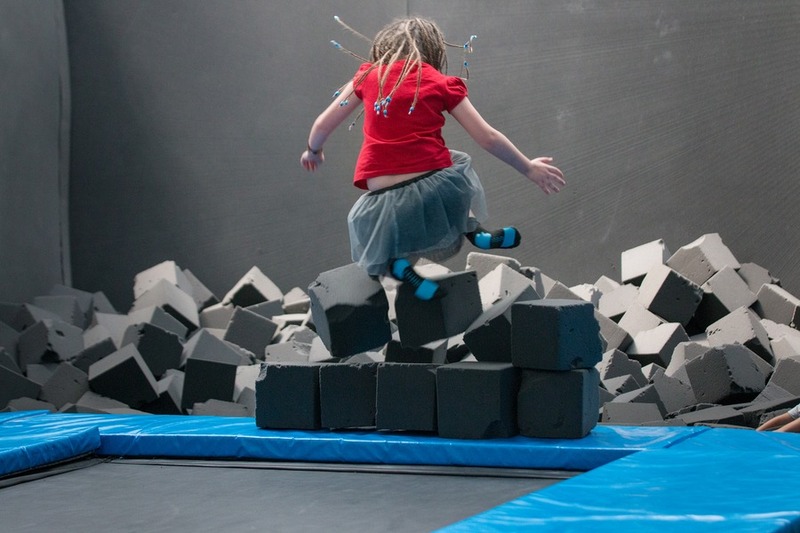 It was slightly smaller than the centre we visited in Melbourne, but still as much fun with a foam pit, dodge game, basketball hoop and a “running wall” to see if you can defy gravity running up a vertical wall. 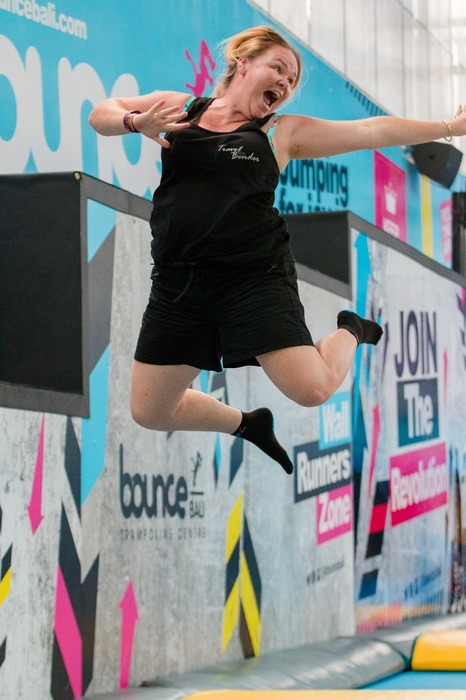 The venue was air-conditioned, but once you get bouncing it really failed to keep me cool. So bring a bottle (or two) of water. I guess it’s the price to pay when enjoying such beautiful, warm weather every day. 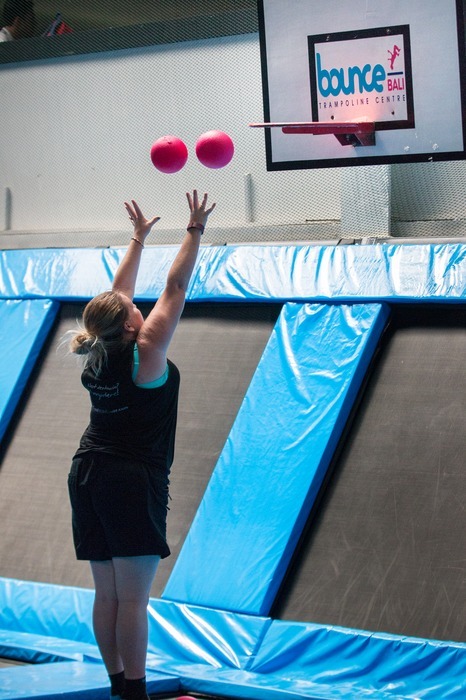 Cost: 1 hour jumping pass is IDR 100,000 (AUD$10). 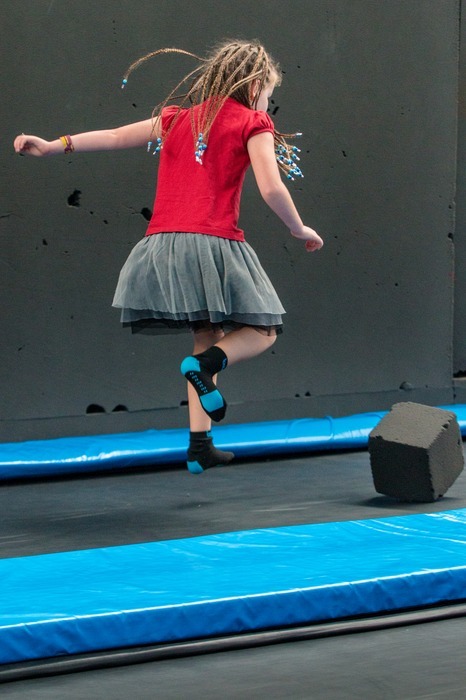 You must have Bounce jumping socks, which cost IDR 20,000 (AUD$2). 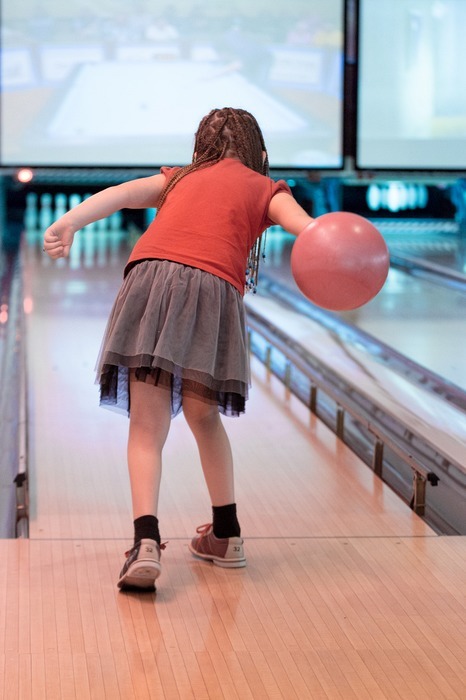 My kids love bowling and when I heard about the opening of this bowling alley, we were very excited. 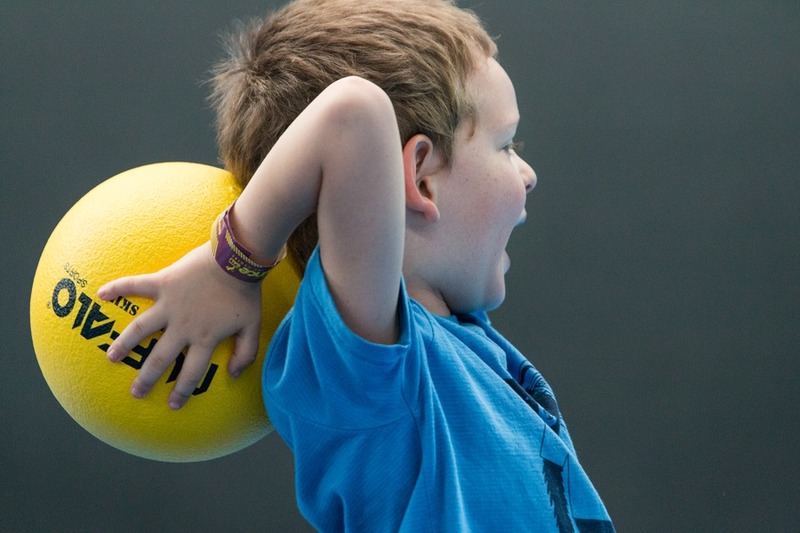 Combine exercise, family bonding and a little healthy competition in an air-conditioned facility and it's a winning formula. 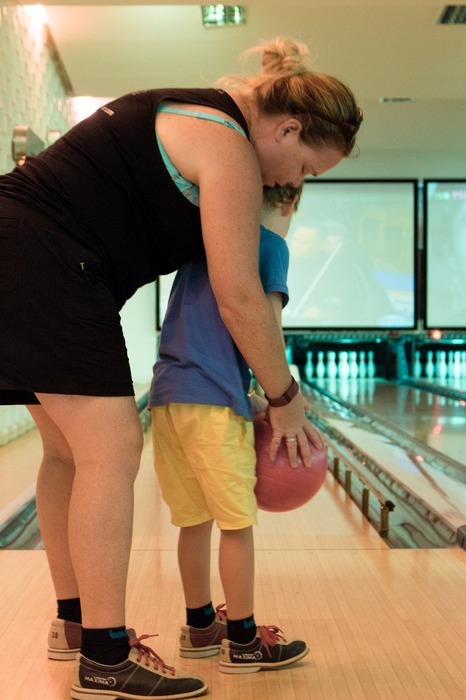 They have everything a family needs for a fun day (or night) out – shoes for all sizes (even my husband’s giant feet), small lightweight balls for kids, bumpers for those of us who need a little extra help, and even ramps for the youngest players to smoothly roll the ball down the lane. 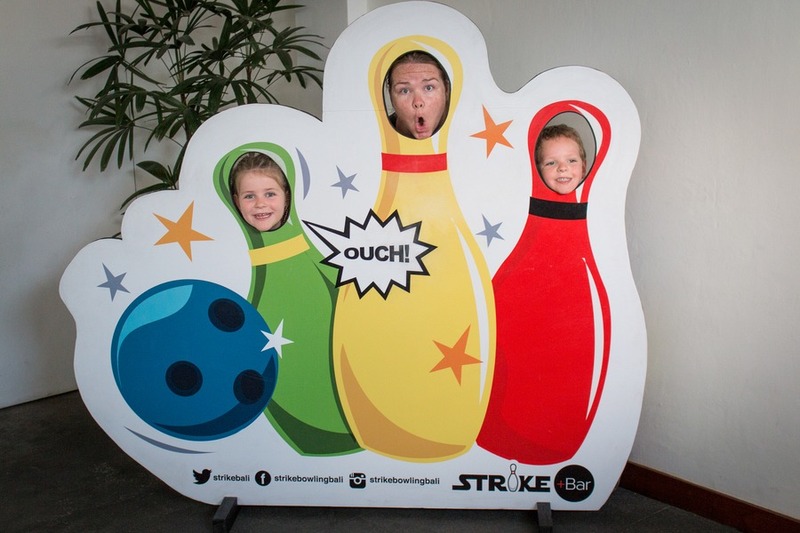 Strike houses 6 lanes with automatic pinsetters and a computerised scoring system. You can order food or drink at the bar and there were plenty of staff on hand to help select balls, and provide a helping hand whenever needed. Shoe hire is included, but bring your own socks. 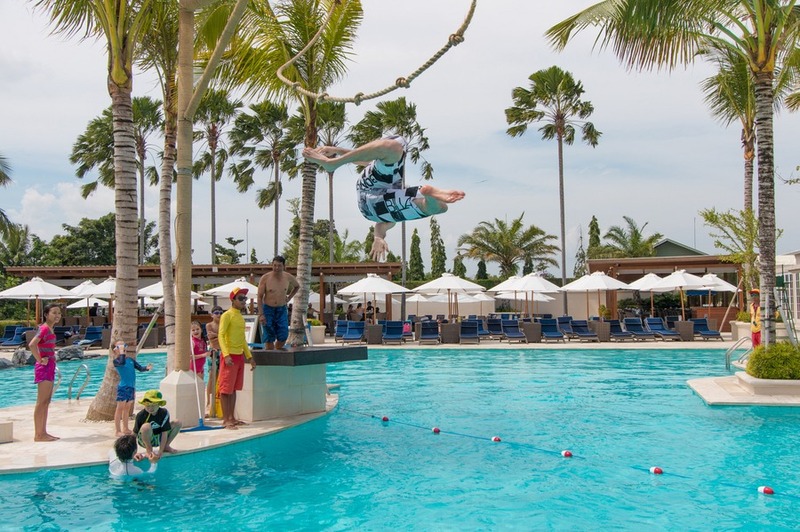 If you live in Bali and are interested in a club membership, Canggu Club offers passes that entitle your kids to Splash everyday if they want to. You can check out the Membership details on their website. But casual visitors will feel just as welcome too. 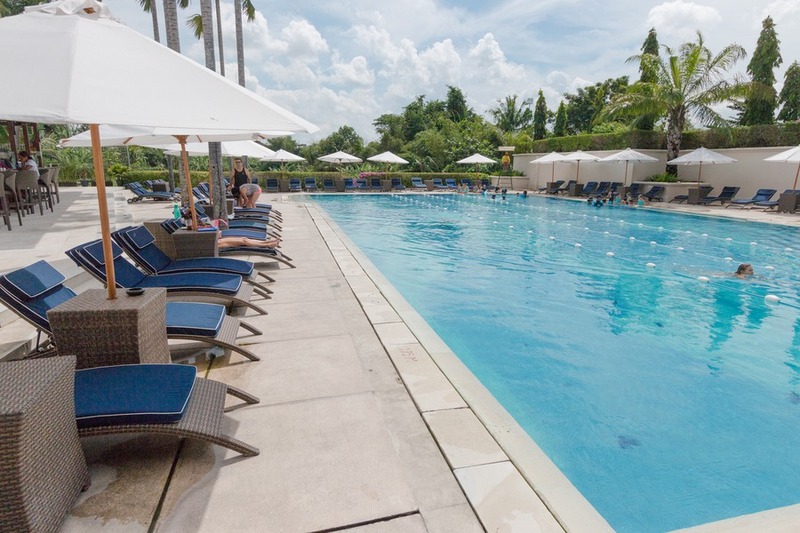 It was our first time at Canggu Club, but it won’t be our last. That’s for sure. 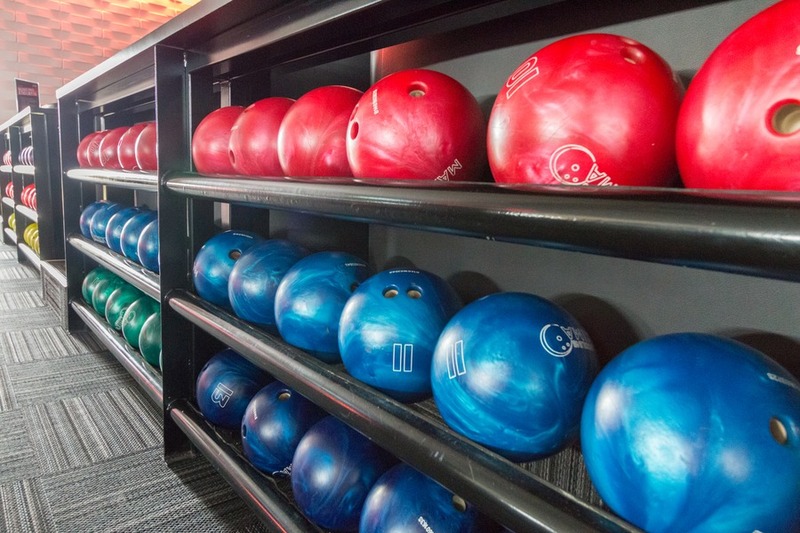 With so many fun things to do in one convenient location, I recommend spending more than one day to sit back, relax and let the good times roll… or bounce. Hello! Can I ask how old are your kids when they were visiting Splash? 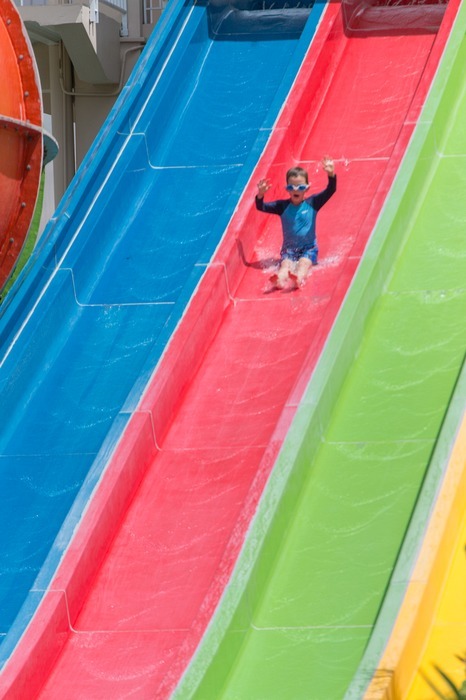 My son is 5 and about 110cm and I don't want to go there when half of the slides were off limit to him cos of the height restriction?